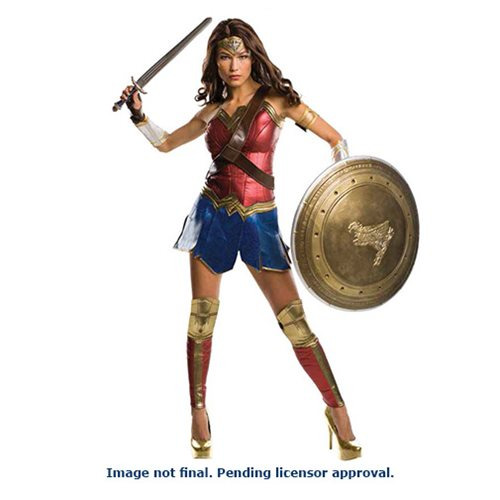 The Batman v Superman: Dawn of Justice Wonder Woman Grand Heritage Costume includes a skirt, top, shorts, attached bandolier, arm band, gauntlets, tiara, and leg guards. Wig, sword, and shield sold separately. Ages 13 and up. Bust 36"- 38" 38"- 40" 40"- 42"
Waist 27" - 30" 31" - 34" 35" - 38"